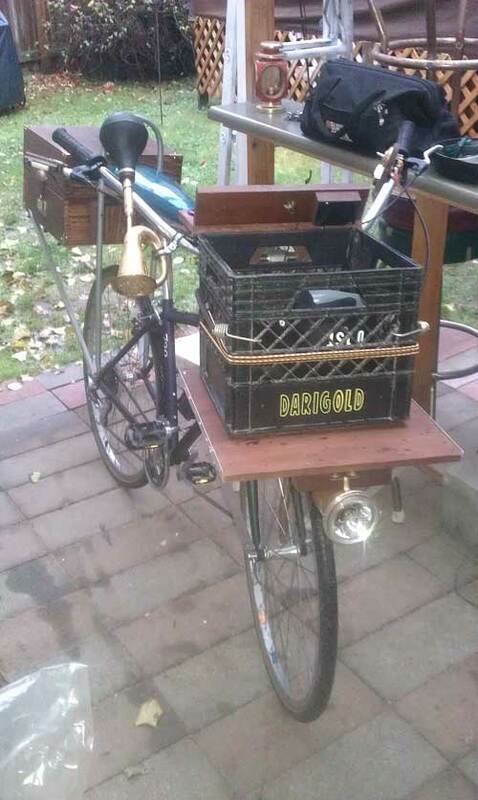 Johnny sent along a shot of his 16″ covered bell horn, now safely secured to his bike. I asked him how he attached it. I couldn’t use the included handlebar clamp due to dashboard and foredeck, so I used two 3/4″ insulated conduit hangers and secured the upper segment with a zip tie. And here’s a close-up of how he attached his horn. 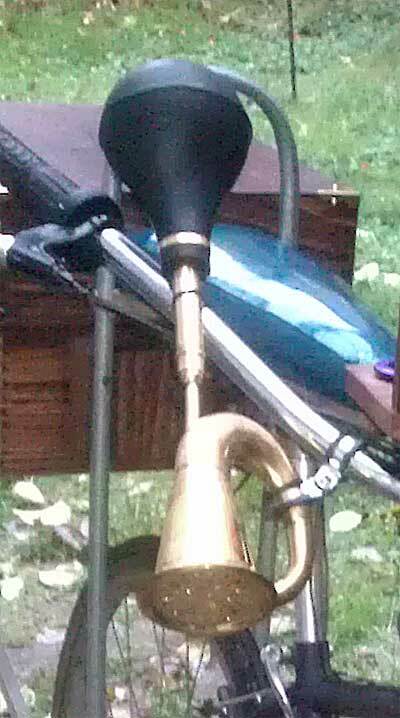 ← Perfect horn for my Harpo Marx costume…Thanks John!